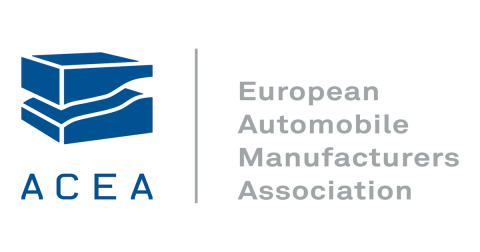 The European Automobile Manufacturers’ Association (ACEA), the European Association of Automotive Suppliers (CLEPA) and the IndustriAll European Trade Union, have come together to react to the GEAR 2030 report on the ‘Competitiveness and sustainable growth of the automotive industry in the EU’, published today by the European Commission. GEAR 2030 highlights key issues with respect to the competitiveness of the sector up to 2030, with a priority focus on the decarbonisation of transport and connected and automated driving. These are both major trends that will transform the face of the industry, its products, business models and value chain. The three organisations support the GEAR 2030 report, but urge that its recommendations be used in the right context, particularly concerning decarbonisation and the post-2021 CO2 targets for cars and vans that will be proposed by the European Commission early next month. ACEA, CLEPA and IndustriAll are in favour of setting new and ambitious emission limits for the post-2021 period as a step towards achieving the EU’s climate goals. The three organisations are also of the opinion that this must be done in such a way that will create positive synergies between environmental objectives and the promotion of investment, thus boosting innovation and having a positive impact on employment. However, new standards should be economically and technologically achievable, and investment security for the industry has to be guaranteed. Decarbonising road transport will require a number of different pathways, technologies and solutions. Technological neutrality is therefore essential to underpin Europe’s manufacturing leadership. At present, electric vehicles represent less than 1.5% of new car sales. The three organisations therefore support the greater market uptake of zero- and low emissions vehicles. At the same time, however, they warn about the risks of imposing a binding mandate, especially as achieving this would be dependent on factors that are outside the control of the sector, such as energy supply, charging infrastructure, consumer acceptance (which is related to range and affordability), public subsidies and access to raw materials. The GEAR 2030 report provides some welcome recommendations which will respond to human capital and skills needs by addressing cross-cutting issues for the future of industry. However, according to ACEA, CLEPA and IndustriAll, the report did not look in detail at the social and employment impacts of the push to decarbonisation and the EU, and member states, must be aware of, and address, the potential impact their choices could have. Indeed, attracting the right skills and addressing skills gaps are key enabling factors in the transition to a low-carbon transport sector. At the same time, forced redundancies and the decline of automotive regions must be avoided. This requires full social and economic impact assessments, as well as strategies to anticipate and manage change in a gradual, socially-acceptable way. Unless managed well, one out of three jobs in the automotive industry could be at risk as they involve producing components for conventional powertrains. The transition to a low-carbon transport sector will indeed create new jobs (eg in information technology, deploying charging infrastructure), but these jobs will in most of the cases be created at another time, in another place and for other skill profiles than the manufacturing jobs that will become obsolete. Another important pillar of GEAR 2030 is connected and automated driving, which brings many opportunities but also challenges for the industry. In this context, ACEA, CLEPA and IndustriAll call on the EU to push ahead with the creation of a fully operational EU single market for such vehicles and to harmonise standards, both on the EU and global level. Stronger investment in enabling technologies and relevant infrastructure is also essential here.